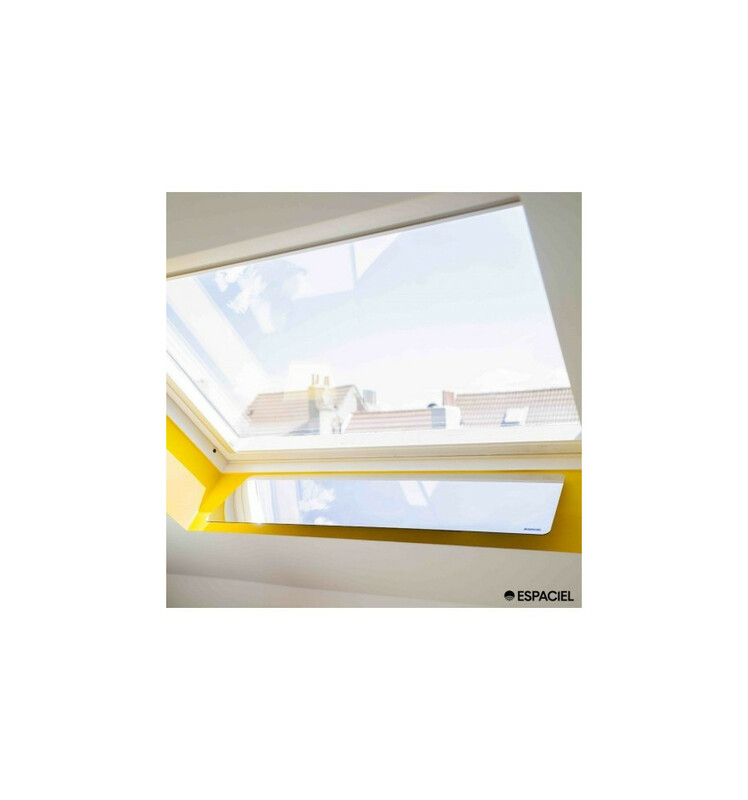 Enhance your interior with natural light ! 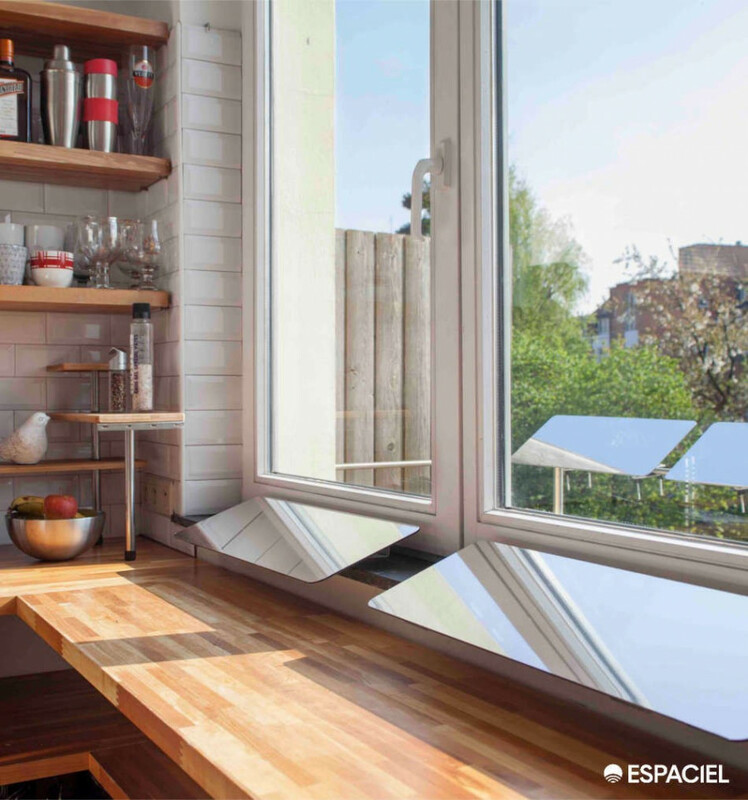 The window sill is the brightest point in a room. 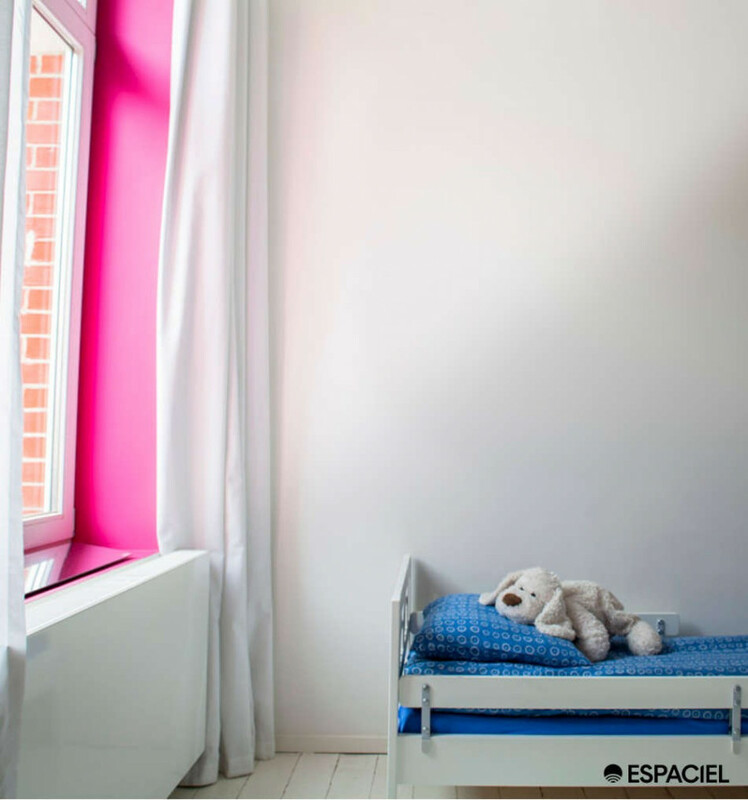 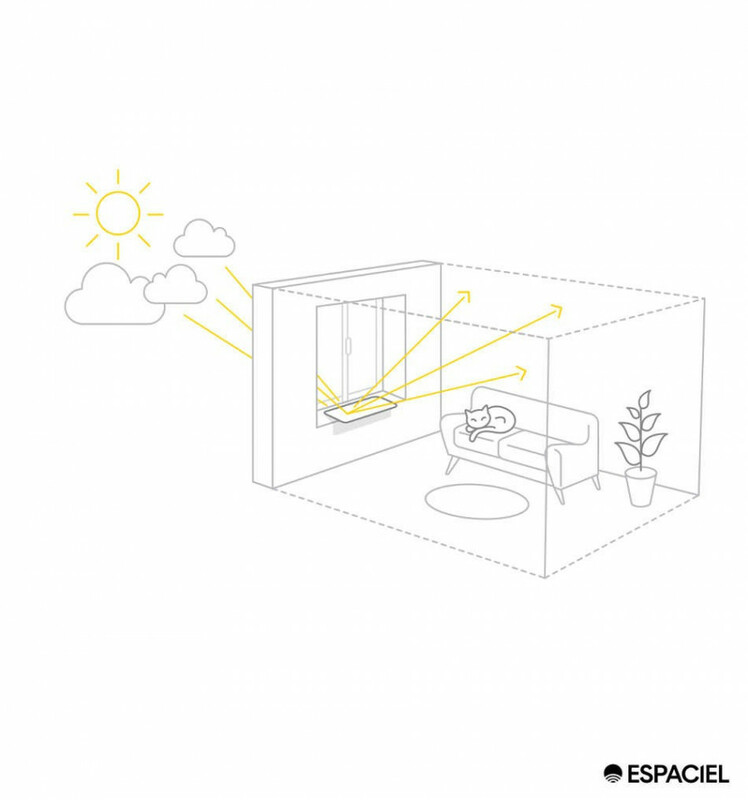 Thanks to an Espaciel interior reflector, you can redirect this source of natural light deep into your home. 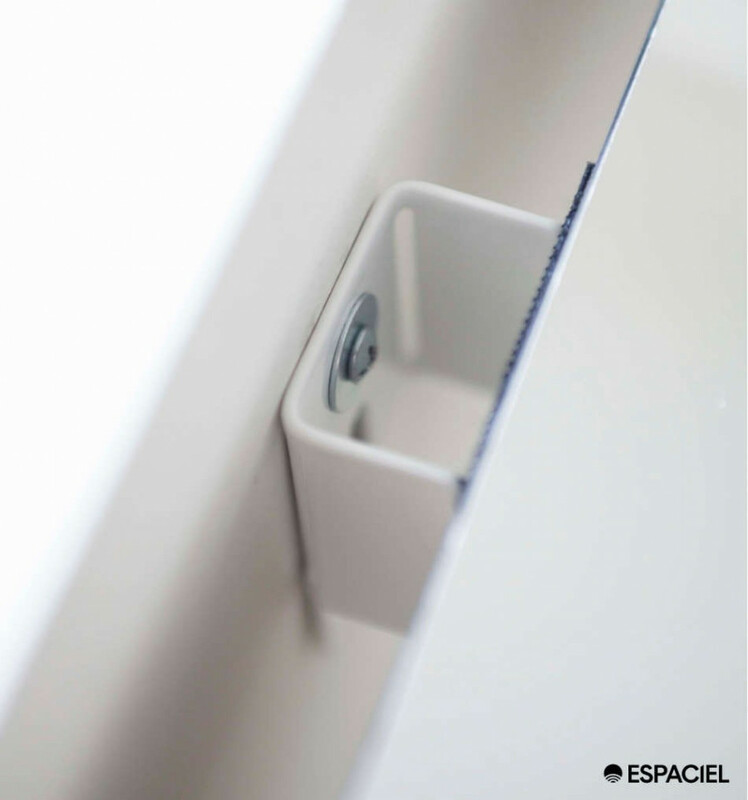 Placed flat behind the window, the highly reflective surface of the Espaciel Interior Reflector captures the available daylight and redirects it deep into your home. 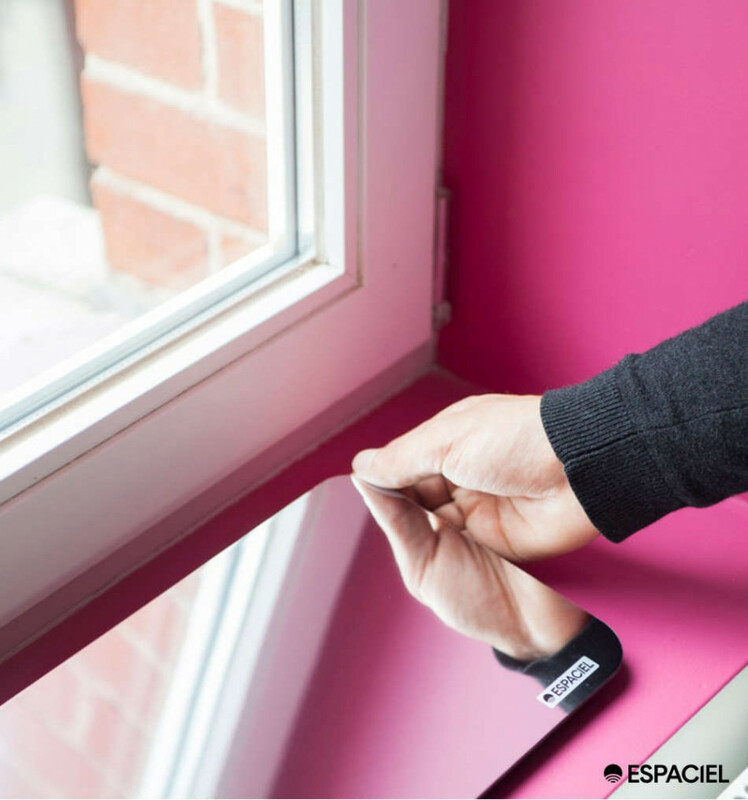 The Interior Reflector can be installed easily in a matter of minutes in a variety of ways: placed, screwed or glued flat behind the window. 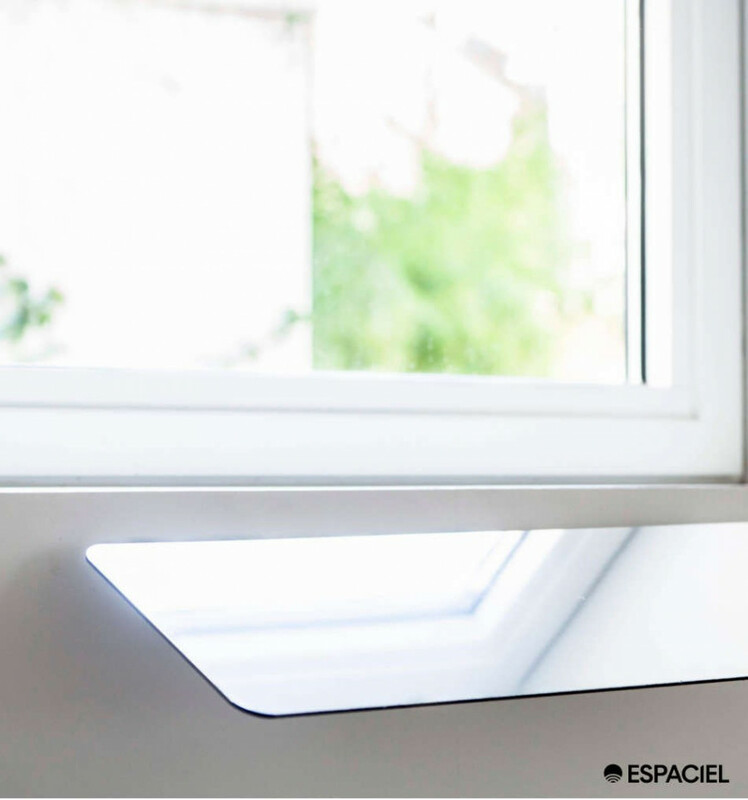 Your home will be lighter and brighter every day, whether it’s sunny, overcast or raining. 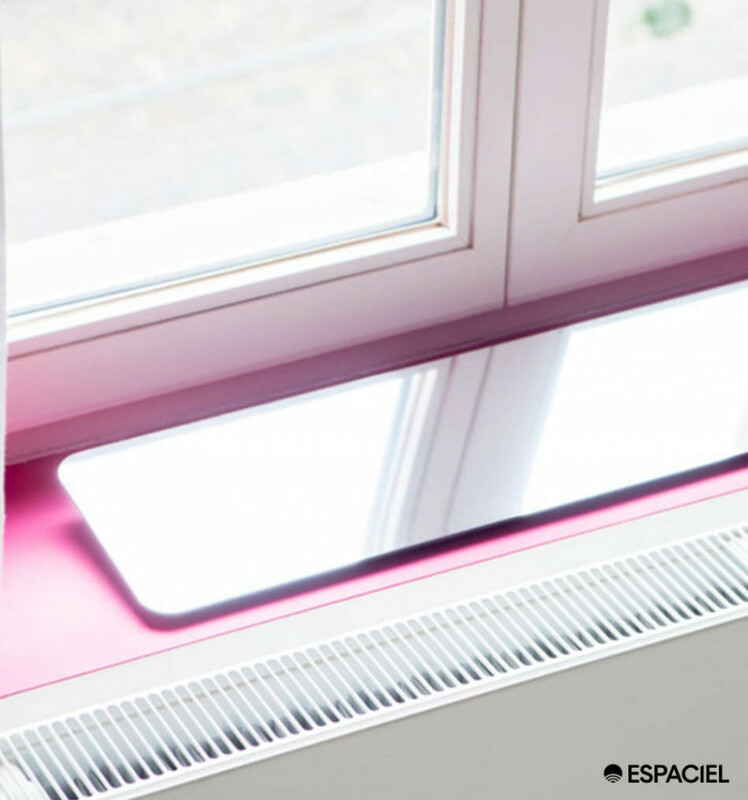 The Interior Reflector can be installed easily in a matter of minutes.